Indie studio NVYVE have unveiled today a new trailer of P.A.M.E.L.A., their futuristic survival horror powered by Unity. The title explores the consequences of humanity's insatiable quest for technological and biological advancement. Jump inside for more details, screenshots and trailers and if you like what you see, vote for it on Steam Greenlight. Mississauga, Canada - September 22nd, 2015 - Indie micro development team NVYVE® Studios, today released the Rebirth trailer for P.A.M.E.L.A.™, the open world utopian sci-fi survival horror FPS that is scheduled for release on Windows PC in 2016. In addition, the studio also announced that the Steam community can now vote for P.A.M.E.L.A.™ with the launch of the Steam Greenlight campaign. To pledge support for P.A.M.E.L.A.™ visit http://steamcommunity.com/sharedfiles/filedetails/?id=498592198. “P.A.M.E.L.A.™ explores the unforeseen consequences of humanity's craving for technological and biological advancement”, said Adam Simonar, Studio Director of NVYVE® Studios. “With release scheduled for 2016, we are excited to reveal a taste of the background story behind the devastating fall of a technologically utopian civilisation gone wrong”. Through the Otherworld Agency, the team enlisted the help of Jeff van Dyck, who worked as Audio Director on Alien: Isolation and Composer on the Total War series, to create a unique and memorable theme for the Rebirth trailer. The Rebirth trailer introduces a wide diversity of locations and reveals the omnipresent AI overseer Pamela, as well as the complex personality driven AI system that players encounter. P.A.M.E.L.A.™ begins as a Sleeper is awoken from cryosleep in Eden, a fallen utopia wrought with death and danger. 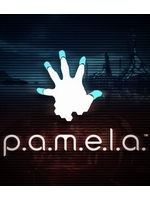 As a Sleeper, the player will struggle to survive alongside Pamela as they explore the once vibrant utopian city. Uncover the tragic events that lead to the downfall of a civilization, and fight for your life as the broken citizens of Eden defend their home against your intrusion. With a personality-driven AI system, no encounter will be the same as the Afflicted react in unpredictable ways, driven by their excruciating pain and disfiguring disease. Interact with various factions, including the Afflicted citizens, security droids, robotic custodians, and more. Each faction has its own unique behaviors and alliances, and will react dynamically to the player’s behavior to become allies, or enemies. Experience tense gameplay in a richly developed, believable sci-fi universe. Each decision is meaningful, and each encounter could be your last. Wield and customize an array of modular equipment to defend yourself and explore the environment. Utilize an immersive UI that incorporates full body awareness, where the player's involvement in the world is never broken. Manage the power reserves of the city, using energy only when necessary to avoid the dangers of being stuck in the dark. Upgrade your weaponry, and construct a safe haven to defend against the denizens of Eden. Enhancing your body with Bio-Augmentations will give you an advantage over your enemies, but at what cost? Every decision has consequences in Eden. Can you survive the future? The graphics in the Rebirth Trailer seam to look better than the Announcement Trailer, didn't notice any AA issues in the Rebirth Trailer or low detail what in fact I did notice was the superior real-time global illumination, its the best I have ever seen in an interactive game and if it means they're aren't enough resources to do the best AA then that's OK with me. PS. The art is really good also but on the downside it doesn't from what I've seen work as a horror, the atmosphere seams way to nonthreatening. Rebirth trailer is the one to see. I really don't see much issue with the visuals. The atmosphere though just doesn't feel too scary. Maybe all of this is just the outer shell to something more dark, but that is to be seen. You don't normally see horror games this flashy, outside of that it doesn't seem like a bad game. Looks cool! Aesthetic reminds me of KZ: Shadowfall to be honest, which isn't a bad thing. Rebirth was definitely the better of the two. Game looks interesting. Let's see how they pull it off.